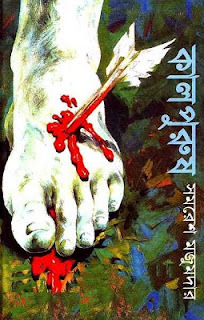 Kalpurush is a Bangla novel book written by a popular Indian Bengali writer Samaresh Majumdar. This book is a sequel of Kalbela. The last episode of the political path of the seventies Kalbela’s hero Animesh had hoped his son Orko will carry his socialist ideals banner with a strong hand. But contemporary politics and vicious society made Orko as an anti-social reign of darkness. But he has the blood of healthy idealism from Animesh and his mother Madhobilota’s determination and purities mixed material, so not delay to return his senses. With a different mentality, he heard the call of humanity forever. On one side he inspired some of the opportunist society’s oppressed and downtrodden people by a new way to stand on their own feet. He highlighted in front of them one of the most beautiful map of the future world. But the power of political parties and society do not hesitate to break the dream of the sacred world. But Orko- that means Sun- his appearance did can be angry forever? At the end of the novel Kalpurush, the call of humanity is clear. Samaresh Majumdar is a well known writer in West Bengal, India. He was born in 10thMarch 1942 in Jalpaiguri, India. He becomes as a famous writer for his creation of the detective character Arjun. He was studied at Scottish Charch College and University of Calcutta. PDF File Size: 26 MB. Alert: More PDF reading will damage your eyes! So if you like this book, you should buy the original copy of this book from your nearest library.